flowing system pressure drop across the valve. The PowersTM Flowrite actuators are enclosed spring and diaphragm linear actuators, direct and reverse acting. 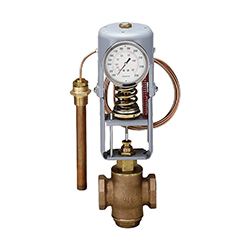 Utility bronze control valves featuring bronze and stainless trim for steam/water modulation, mixing or by-pass applications. Balanced & unbalanced designs. Multiple packing choices – spring loaded. Stainless steel hardware and actuator mounting accessories. Available with pneumatic diaphragm. Union and screwed ends. Multi-guided stability. With Powers #11 Self-Operating Temperature Regulators, you no longer need external power to control your process. 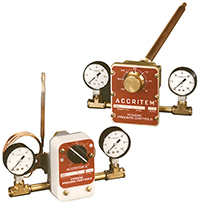 Just one temperature set-point adjustment to make and the rugged, self-operating #11 Regulator controls the flow of heating or cooling medium and maintains a uniform temperature. So whether you're using processing equipment, heat exchangers, or machinery, Powers #11 Self-Operating Temperature Regulators are the easy solution to your control problems. 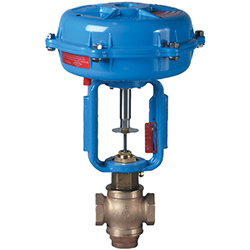 Iron body control valves featuring bronze trim for steam/water modulation, mixing or by-pass applications. Powers Flowrite II Water Mix (MI) Valves combine hot and cold water proportionally to satisfy the demands of the controlling instrument. The valve's linear inherent characteristic produces equal changes in flow per unit of valve stroke regardless of plug position. 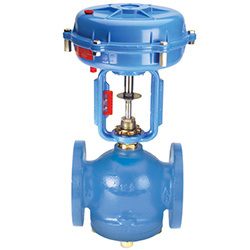 The valve is air operated and can be used in a variety of mixing applications. The rugged Powers Flowrite II Type SI balanced (single seat iron body) control valve is primarily used for steam and water modulating applications with moderate pressure drops. 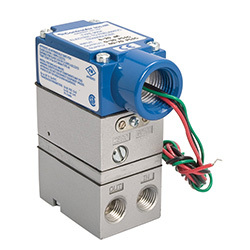 The SI valve is available with the Powers 46 in2 and 100 in2 actuators. Actuator selection depends on valve size and flowing system pressure drop across the valve. Converts an electrical signal (current or voltage) to a proportional pneumatic output. Utilizing internal solid-state feedback circuitry, the Type 900X provides precise, stable pressure outputs to final control elements. 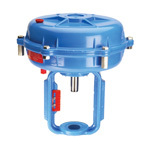 Immunity to the effects of vibration or mounting position, high tolerance to impure air, and low air consumption make this unit ideal for use in demanding applications.